So many war novels, in an effort to convey the massive scale of death and destruction in wartime, end up bogging themselves down with too many characters, too many storylines, too many tragic details. It’s unfortunate, because this oversaturation leads to the opposite effect the authors had in mind—a reader can’t feel the full impact of events, can’t empathize as deeply, because the barrage of pain is just too much. It washes over instead of sinking in. The brilliance of Orhan’s Inheritance is in its razor-fine focus on two small families. Few historical events are as hugely devastating as genocide, and if anything could threaten to overwhelm a narrative, it’s the attempted annihilation of Armenians during World War I. 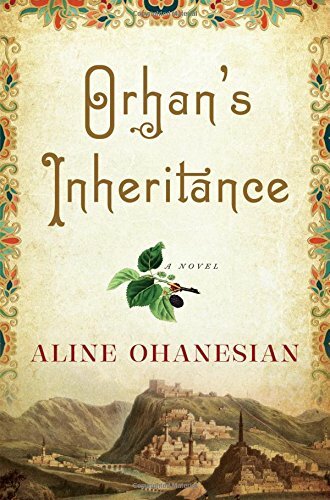 But Ohanesian insists on limiting her story, a choice that not only lets us feel keenly the experiences of her characters, but then invites us to imagine all the other thousands of similar stories that aren’t encapsulated within the novel. Paradoxically, it’s this method of scaling down that ultimately makes Orhan’s Inheritance a universal story of love, loss, and forgiveness. The book opens in 1990 Turkey, where a young man named Orhan’s grandfather has just died. His death brings with it an unwelcome surprise: he has bequeathed their family home to a stranger, specifically an old woman named Seda who lives in America. Orhan immediately makes plans to travel to the US to meet this Seda and firmly inform her that he has no intention of giving up his birthright. Of course, as you can probably guess, it won’t be that simple. Orhan loved and respected his grandfather, and the knowledge that his Dede wouldn’t have done this odd thing without a good reason lingers in the back of his mind. Who is Seda? How did she know Orhan’s grandfather? To reveal the answers, Ohanesian flashes back to 1915, when the world was at war and Turks and Armenians became enemies—and Orhan’s grandfather was just a teenage boy named Kemal. Even in the flashback structure Ohanesian is restrained—the sections are long, giving the reader enough time to sink into each timeline without the distraction of frequent transitions. In less capable hands, this would have been compelling historical fiction; thanks to Ohanesian’s skillful artistic choices, it’s a powerful emotional experience, too. Highly recommended.